SPEAKERS: Tiffany Lyndall-Knight, (Actor/ Director) Barbara Bartnik (Actor/SA Equity Wellness Committee Member), Chris Drummond(Director, Brink Productions), Sarah Dunn (Director), Chiara Gabrielli (Associate Artist /Associate Producer, ActNow), Geordie Brookman (Artistic Director, State Theatre of SA), Kiara Milera (Writer/Director), Francoise Piron (Stage Manager, Australian Dance Theatre), Alexandra Frost (Director/Clinical Psychologist, Attuned Psychology). Chaired by Elizabeth Hay (SA Equity President). EVENT INFORMATION: The Equity Wellness Forum is MEAA’s first public Q&A addressing bullying and sexual harassment in the performing arts. Actors, directors, and innovators will be invited to answer questions about how the arts industry is affected by sexual harassment and bullying allegations over the past months. The aim of the forum is to create awareness and address new policies which are being developed to help artists overcome these difficult issues. The core focus of the discussion is to address the future of our arts industry after numerous harassment claims. The forum will not be used as a platform to encourage the sharing of personal incidents and/or distress. However, the event is an opportunity to provide a sense of stability and solidarity for our arts community collectively moving forward. On the night, conversations will include consultation and code development across screen and live performance stakeholders and CAST companies. We want to assure our community at funding bodies and individuals who are involved in the South Australian Arts sector are committed to guarantee a safer working environment for everyone. For people who are currently experiencing signs of trauma due to bullying and sexual harassment in the arts, we advise them to seek help through agencies like Beyondblue, eHeadspace, Lifeline Australia, or Attuned Psychology. While the forum is not a substitute for these services, contact details will be available. COST: This is a free event. Registration is essential. QUESTIONS: There will be segments throughout the forum dedicated to public questions. Please email aaron.connor@meaa.org if you wish to ask a question to the panellists in advance either anonymously or identified. 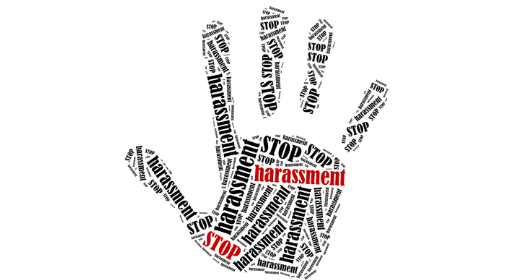 The purpose of the open discussion is to promote meaningful change and discuss how new or existing industry guidelines concerning harassment might be implemented at the workplace level.